Enter your email address below to receive updates on new publications and special offers. Sign up to become part of our team of volunteers. There are many ways you can get involved. More people enter our hospitals than our churches today. Being in hospital, especially as an in-patient, can be difficult. It is often a time of stress for the family, a time of questioning, and a time of worry for the future. 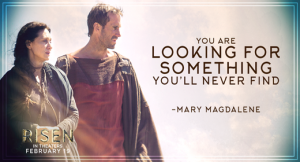 Christians are called to care for the sick, and reach out with comfort and love. One way is through providing a books service in the heart of the hospital - books to help to pass the time, stories of people's endurance through adversity, humour and books for the children. 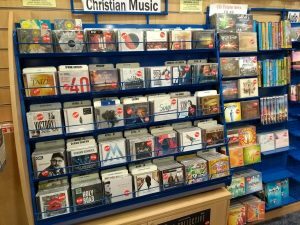 Books Plus provides a relaxed atmosphere to listen to music, browse through CDs and look for books which may perhaps answer their questions perhaps about their diseases or maybe bigger issues, like the meaning of life. 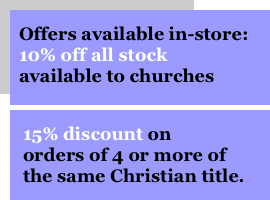 Books Plus is a Christian and non-denominational Christian shop which stocks equal amounts of Christian and secular literature on its shelves. Please use the link below to hear Francis Chan talk about his new book, Letters to the Church. The book is available for £7.99 from Books Plus Gloucester saving £2 on the RRP of £9.99.